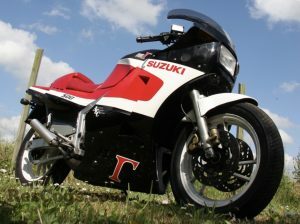 We love a good Suzuki RG500 here at Classic-Motorbikes.net. We have to admit to being double-chuffed to stumble over this particular RG500 Gamma on our travels back in 2014. 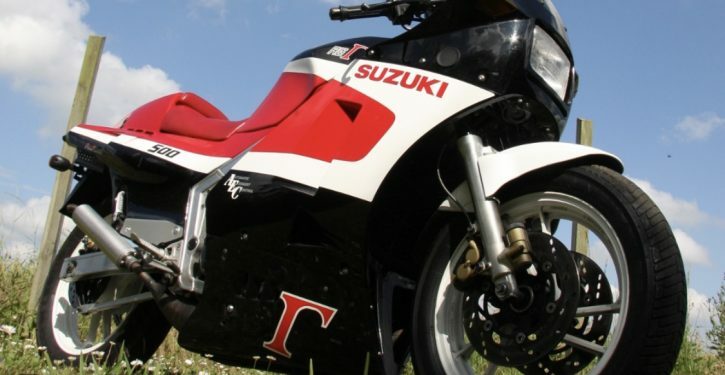 The reason is that it belongs to former Suzuki GP legend Kevin Schwantz. I’d imagine you’re now picturing a Pepsi or Lucky Strike Suzuki wearing the number ’34’ either crossing the finishing line first or launching itself into the gravel. His win or crash approach inspired a legion of fans, including one Valentino Rossi, but unusually for a less cautious rider, he was also able winning a World Championship in 1993. With the 25th anniversary of that achievement looming large in 2018 it gave us a good excuse to share this little tale. Mr Schwantz bought the Suzuki RG500 in the summer of 2014, but before it was crated and shipped to the U.S, he wanted someone to give it a once over. So he got one of his former GP mechanics involved. Paul Boulton was a mechanic for Kevin back in his early days with Suzuki and helped the American in his first full year on the now-legendary Pepsi Suzuki RGV500. 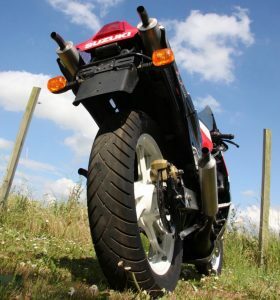 This particular Suzuki RG500 was discovered in mainland Europe, and other than the pipes, it’s pretty much stock. Although, Paul Boulton does suspect an engine change may have been done in the past. 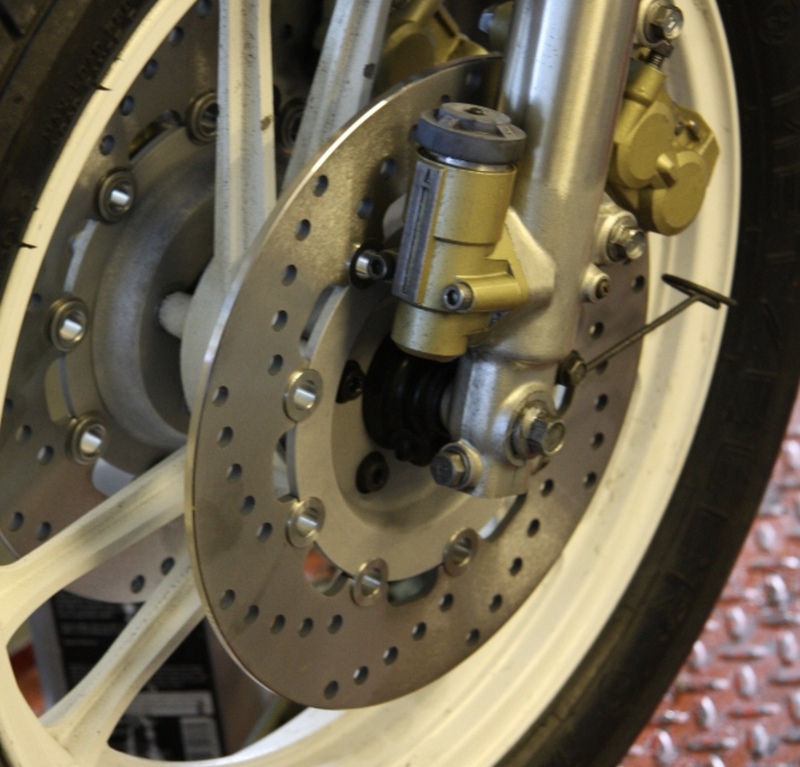 The brakes on the Suzuki were totally shot, so Paul sourced and fitted some new EBC items – it seems Suzuki have run out of new stock!. 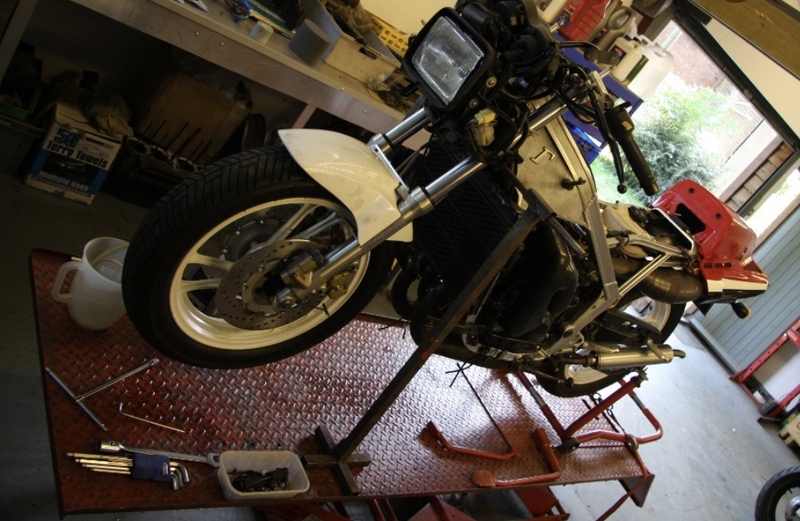 And while the RG500 was up on the bench, PB also set about the calipers, rebuilding all three and giving the forks a full strip and rebuild. 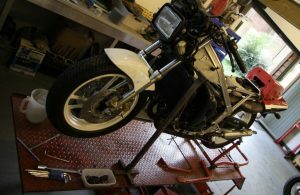 The lucky Suzuki RG500 Gamma will be reassembled, polished, and then crated up for a cushy life with Kevin Schwantz. I still associate his early days with the Trans-Atlantic meets which saw him ride the rims off a Suzuki GSX-R750 Slabside. I’ve no idea if he’s got one of those too, but if not, I’m sure we could help him find one!